Workers have installed the new benches that were presented to the school as a Senior Gift by the Class of 2011, with additional financial support from the HCHS PTA. 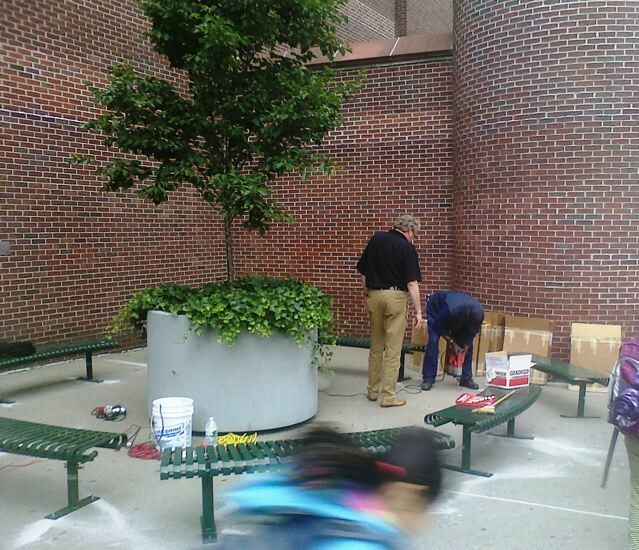 We hope you'll enjoy this new seating at the corner of Park and 94th Street, surrounding the 9/11 Memorial Tree. Thank you, Class of 2011!